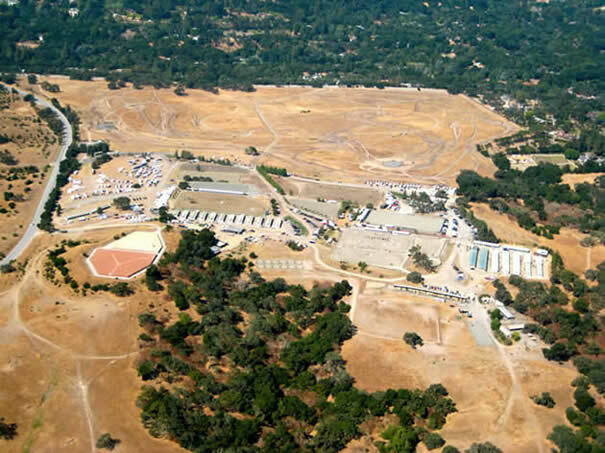 Situated on 272 gently rolling, oak-studded acres on the border of Menlo Park and Woodside, California. 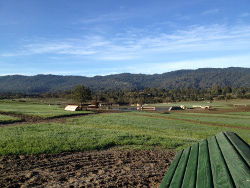 The Horse Park’s facilities, terrain and beautiful setting have made it the ideal venue for equestrian activities including Horse Trials, Pony Club Ratings, Dressage, Arena Polo, Hunter/Jumper Shows and Western Reining. Eight arenas encompassing more than 4 acres of regularly maintained footing. Cross country jumping course: Beginner Novice through Advanced levels that are regularly updated with new and different obstacles including two water complexes. A full set of schooling stadium jumps. 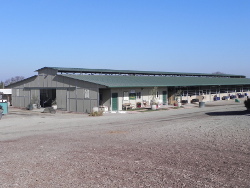 Twelve, 20 stall portable/temporary barns (240 stalls) for horse shows. 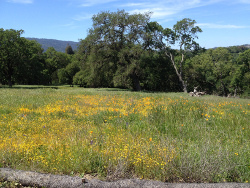 150 acres of open pasture. 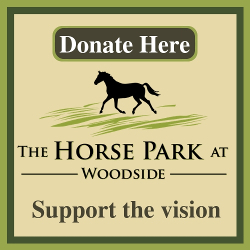 Extensive trails joining the region-wide Woodside Trail Club network. Beautiful vistas of the San Francisco Bay and coastal mountain range. Show office with a large porch and seating. Grassy vendor and event viewing areas. Multiple wash racks around the facility for boarders, show competitors and day-haul in members. A dog members wash rack. 52 stall Main barn with center breezeway. 110'x225' Covered riding arena with large overhang and seated viewing area. Derby arena with a grob, bank and water obstacle. Olympic Footing in 3 of our main arenas. 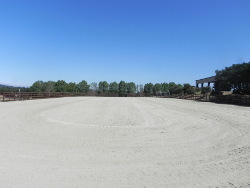 Round Pen located near Main Barn. Graded RV pads with water and electrical hook-ups. Public Address system throughout the stabling and arena areas. Two Lunging Areas ( close by N. Parking and S. Parking).